The Diesel Particle Filter Removal service is a cost effective way to get rid of your DPF headache. 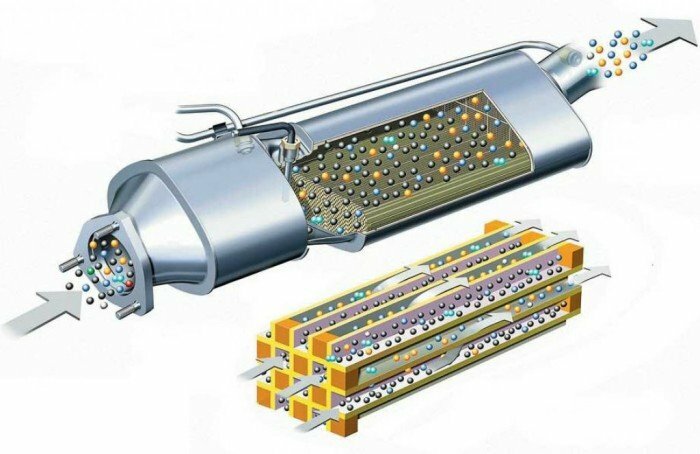 What is a DPF: The Diesel Particle Filter is a device incorporated into the exhaust system that is designed to reduce or get rid of the soot from the exhaust gas of a diesel engine. As with any filter, eventually they get full and block up. The filter needs to be efficient to allow exhaust gasses to flow freely to prevent a loss in engine performance. To cure this the car has a regeneration program. The cleaning process can be Active or Passive. The vehicles Engine ECU controls the Active regeneration program or cleaning process. The filter is monitored by the engine ECU and when it is 45-50% full, small changes to the injection duration and timing are made. This raises the exhaust temperature which in turn burns off the soot particles. When the vehicle is either used on the free way or is driven at high revs, the exhaust reaches high temperatures which automatically burn off the soot particles. This technology seems to be problematic as many drives are experiencing DPF failure even though they do mostly free way driving. This can be due to a very high 5th or 6th gear which doesn’t lift the revs hard enough. We can reprogram your ECU to safely disable your DPF system. All fault code data will be erased and your ECU will be ready to plug in. You can then remove the filter and put a straight through pipe in. It is recommended to leave any sensors in place. The DPF system is turned off using the latest tuning software and can easily be re enabled if need be in the future. This form of tuning is done by reprogramming the factory ECU. There is no tricking of any sensors which has secondary effects on other parts of the ECU Programming. We simply do not allow the ECU to do anything about any check engine codes linked to a DPF error. Piggy back ecu systems are not flexible enough to achieve this same result reliably. Don’t be limited though with just a DPF fix, RPW performs one of our ECU Remaps for more performance, torque and power at the same time. You can have your cake and eat it too. Copyright 2015 Racing Performance Works - All rights reserved.